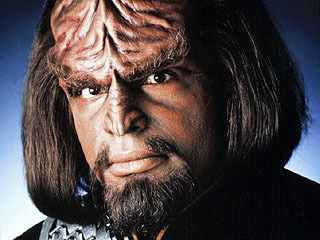 Michael Dorn has announced he is working on a new Star Trek where he will reprise his role as Worf. What do you think? Is it too late for a spin-off or can Worf, son of Mogh, revive Star Trek’s small screen presence? One thing is for sure; it won't be called 'Captain Worf' unless they are planning a spoof. Despite Dorn saying it isn't just a pip dream, I somehow doubt that anything will come of it - at least on television. Tim Russ and other Star Trek actors have made a Star Trek web series, which isn't out of the realms of possibility, but I think the moment Abrams brought out NuTrek, any chance of something happening in the Prime universe went down the plughole. If it were to be a movie, then I'd be all for seeing TNG cast on screen again, but for television, if they were going to do a new series, I think it should be a new crew/cast, and not try to revive a past series. We'll have to wait and see. I think there is enough of a fan base that love the Prime universe that a valid reboot could take off. I also think it would be good for both the old and new franchises. I think a lot of fans of the Prime universe snub the NuTrek and this would be a great way of saying both have merit (which they do) and that both still have a place in our current geek world. Which Stephen King story would you like to see made into a series?